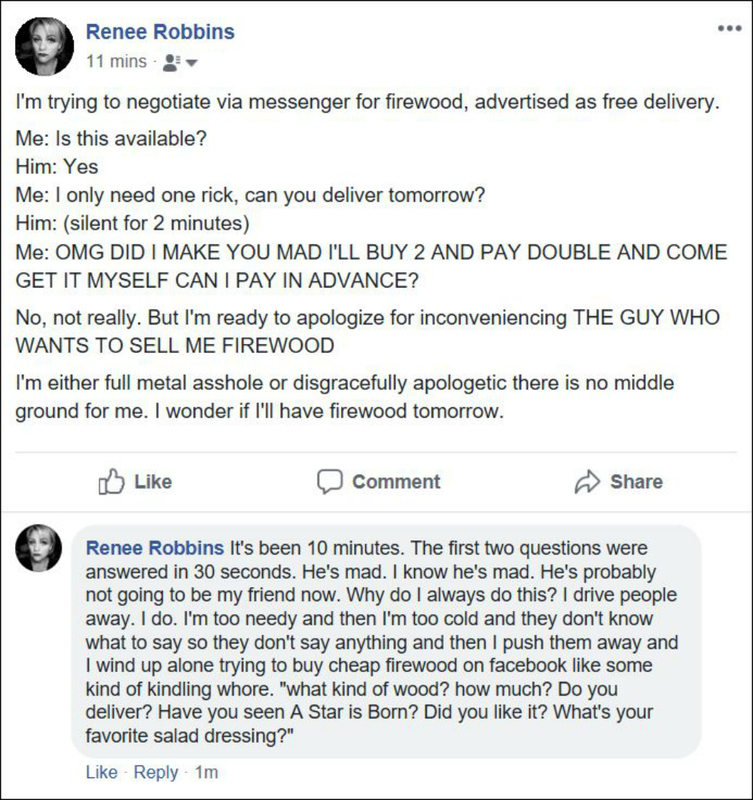 Wood – Renee Robbins. Writes. Can you even read that? I had to make it huge. If I would have made it public I think I could have embedded it but then firewood dude might have been concerned for his safety. And I still need firewood. And he still hasn’t answered. And no one has liked this post. DO I EVEN EXIST? WHY AM I EVEN HERE? Didn’t I promise yesterday I would do better today?